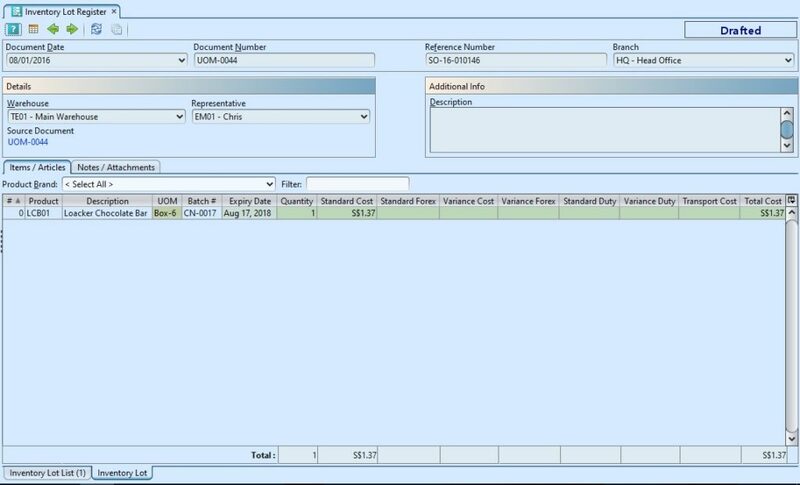 Inventory Lot Register allows user to view transactions of incoming stock of a warehouse. 1. 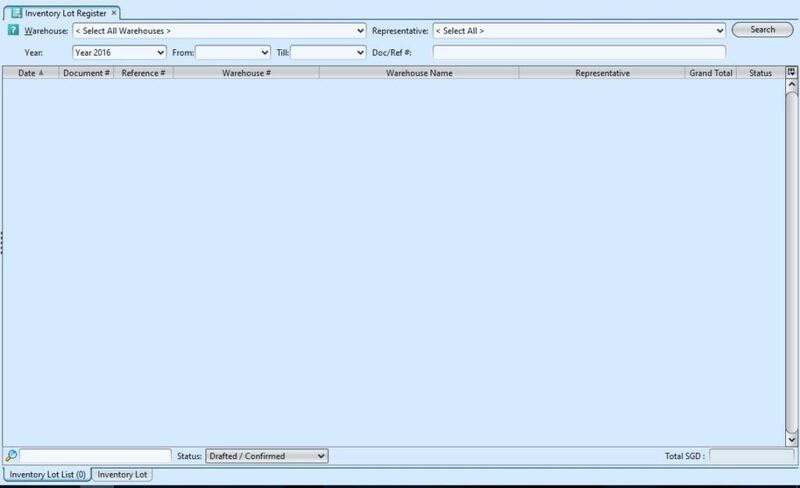 Select a warehouse from “Warehouse” drop-down list at the top of screen. It will pull up data for the selected warehouse. 2. 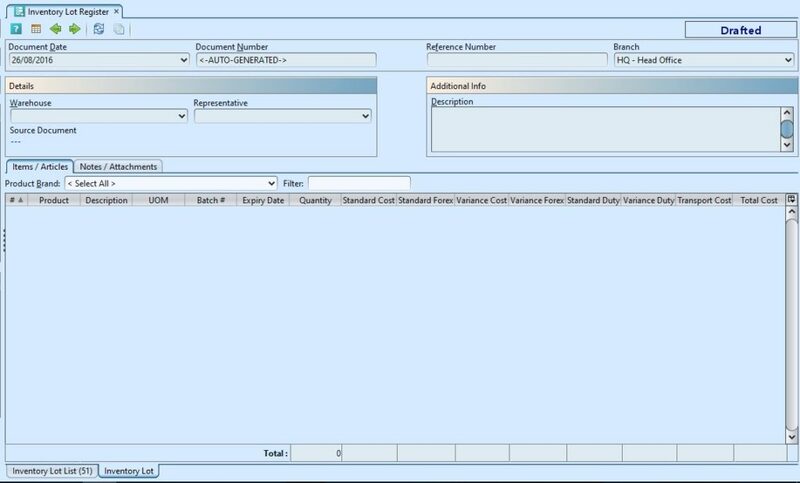 Select representative from “Representative” drop-down list and the certain period of the year from “Year”, “From” and “Till” drop-down list and click “Search” button. 3. Enter search parameter to filter the result, i.e. type in the document’s number in the search textfield box at the bottom of the screen.